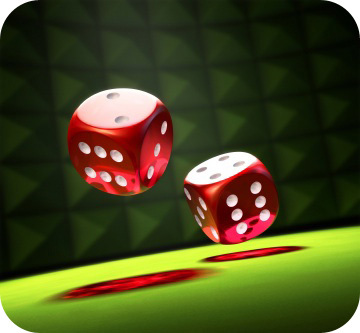 Can a mobile device mirror the excitement of throwing the dice in a crowded casino? It looks like the MGM Grand at Foxwoods casino is betting on it as they prepare to release a branded iPhone app. Mobile Entertainment had a post announcing the launch and some of the details. The app will attempt to simulate all the sights and sounds of an actual casino to immerse users in the Foxwoods environment. No free drinks or real money play. “Play-for-fun” only games since remote gambling illegal in the US. Also included are tips on how to play the casino’s table games as well as a resort tour. Of course, the goal is to get users into the “real world” casino to unload some of their real cash. MGM would be smart blend exclusive on-premise features with offsite offers. Offsite features should be heavy on getting gamblers onto the property such as the ability to easily book your stay along with last minute getaway deals. Additional offers could include discount on show tickets, coupons only available to app users, an in-depth event calendar, local weather and restaurant specials. The app could also feature on-premise only mobile gambling for real dollars. Currently, this is only legal in casino public areas in Vegas might be extended in the future through pending legislation. Gambling tutorials (expanding on tips) for specific MGM games would also be a smart on-site feature. Devices could also be loaned to guest for their stay. With the travel industry struggling, any resort destination would be smart to jump into the app marketplace if they can offer ease, affordability and creative content.